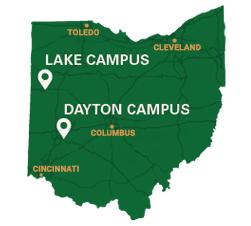 Wright State University's crime and justice studies program is dedicated to providing you with an understanding of crime and justice within the context of a strong liberal arts education. You will enjoy a flexible but focused curriculum emphasizing coursework rich in theory, research methodology, and community engagement. It will prepare you for graduate study or a career in criminal justice or social services. This program is committed to helping you become an ethically informed, culturally sensitive, creative, critically engaged scholar and practitioner who will contribute to the resolution of future challenges arising from the evolving nature of crime and justice systems. Brianna Brown, a senior majoring in crime and justice studies at Wright State, hopes to work with the FBI or help juveniles in the criminal justice system. Sociology professor Karen Lahm has spent her career studying prisons and their populations and most recently researched female inmate misconduct. Jake Slemker played for the Raiders from 2003 to 2006 and has served on the soccer team's staff for the last eight years.